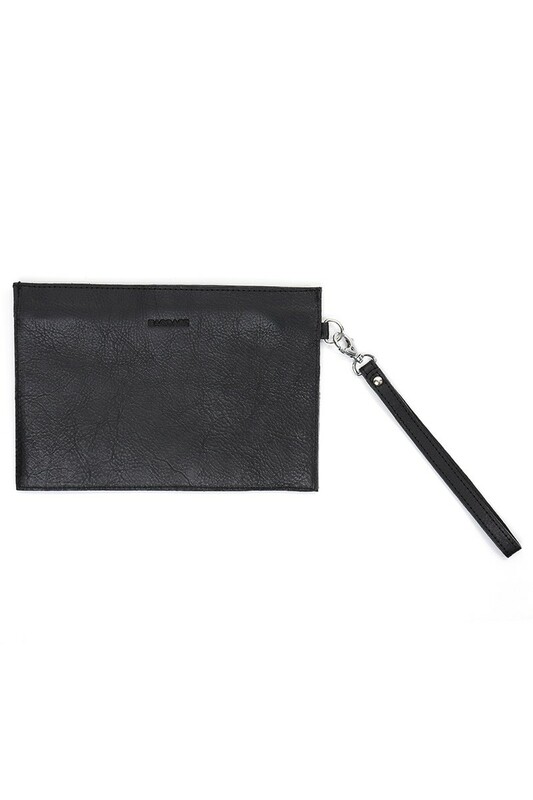 Black leather pouch with metal zipper. Contrasting leather lining in light grey or pink. 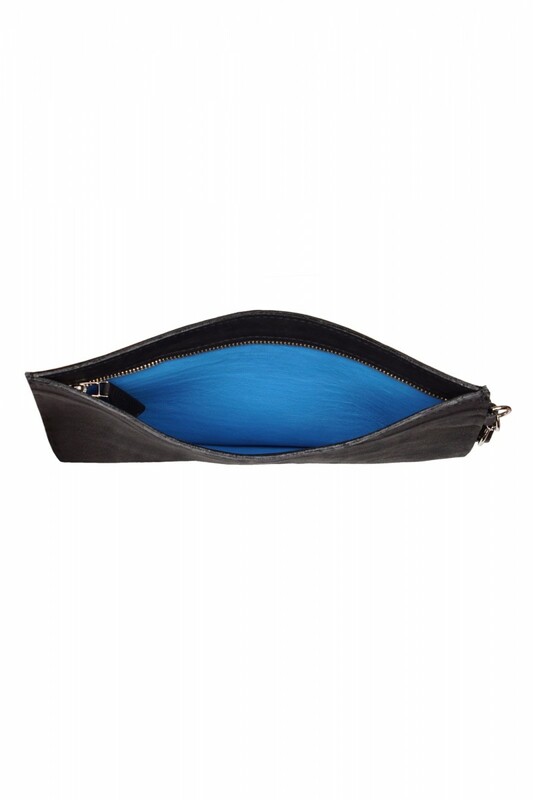 The pouch has a loop for hanging on the arm. 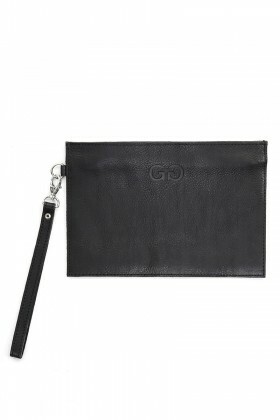 High-quality leather, beautiful and quality handwork.